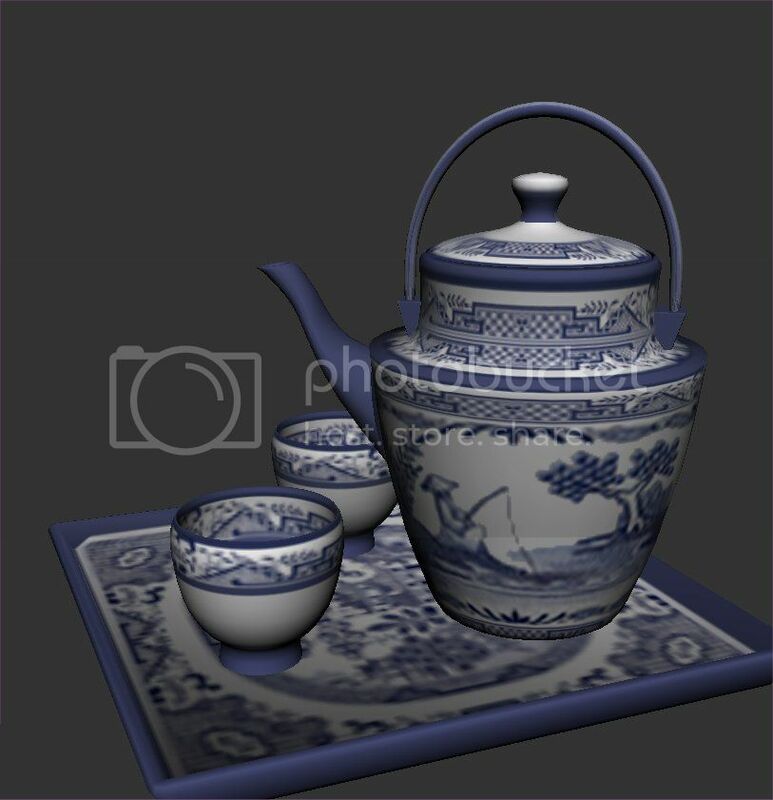 I adore this little teaset from Sims Design Avenue's Rosee du Matin theme It's fun to recolor and one of my very favorite clutter pieces ever. Probably really high poly, but I don't care since it's never slowed my game down. These pics are from UV Mapper Pro so you can see the detail better, not in-game shots. Mesh not included. Get it HERE.